The English Department services courses for educators in the Early Childhood, primary and secondary sectors mainly. 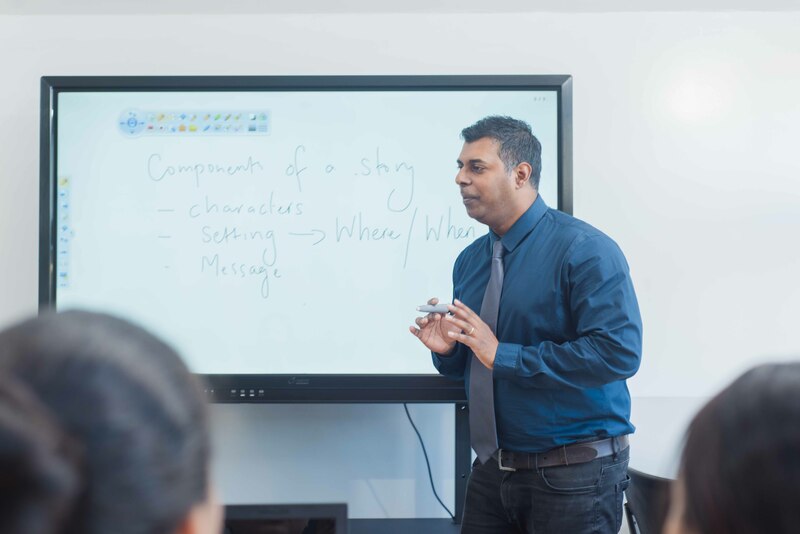 Courses cover content (knowledge of subject area) and methodology of teaching English Language and Literature and vary from proficiency to PGCE levels. Apart from servicing courses for the above-mentioned, Academics of the English Department also engage in the supervision of dissertations at B.Ed, MA, Ed.D and PhD levels. Curriculum development is a major component of the day to day activities of the academics at the English Department. This comprises the design of course and module content, the writing of support materials for teachers as well as the writing of textbooks and teachers’ guide books for primary and lower secondary education. Members of the department are also solicited for workshops on language and literature teaching and are often invited in outreach activities with key stakeholders. The responsibilities outlined above and attendant duties such as teaching practice and tutorials/counselling as well as research and administrative duties make the department a vibrant one where all the people are always busy in their work. At the same time there is a lot of sharing of experiences and consultation among academics which enhances the academic ambiance that prevails in the English wing of the 6th Floor of the MIE Tower. Relationships are always cordial, with a touch of humour where adequate, plenty of goodwill and collaboration. Members involved: Ashish Beesoondial, Pascal Nadal, Rajendra Korlapu-Bungaree, Shalini Ramasawmy. Objectives: To provide support to the teaching staff in terms of training and resources.